1950s: Lillian Ellison began wrestling for Billy Wolfe in Columbus, Ohio. Lillian Ellison left to become “Slave Girl Moolah” working for Jack Pfefer, a creative outlaw promoter. Slave Girl Moolah served as a valet for The Elephany Boy and “Nature Boy” Buddy Rogers. Moolah began living with an outlaw promoter named Buddy Lee and together they opened their own school of wrestling. September 18, 1956: Slave Girl Moolah won her first Ladies championship in Baltimore, Maryland in a Battle Royal. Moolah stepped up to fill the void when legendary Ladies wrestler Mildred Burke’s career was coming to an end. 1964: Moolah was recognized as the World Women’s champion, thus making her the Undisputed Women’s titleholder. ~~~Moolah was recognized as Women’s Champion in several NWA territories, she was NOT NWA Women’s Champion. September 17, 1966: Betty Boucher defeated The Fabulous Moolah for the title – only to regain it weeks later. March 10, 1968: Yukiko Tomoe defeated Fabulous Moolah for the Ladies title in Osaka, Japan. April 2, 1968: The Fabulous Moolah defeated Tomoe Hamamatsu to recapture the Ladies title. ~~~Moolah had her World Ladies title for a reign that spanned eight long years! ~~~Moolah traveled around the World, hitting all the territories and defending her Ladies title. 1976 – Madison Square Garden: Sue Green ended The Fabulous Moolah’s eight year reign as Ladies Champion. ~~~It was only a few days later the Fabulous Moolah regained the World Ladies title back from Sue Green. 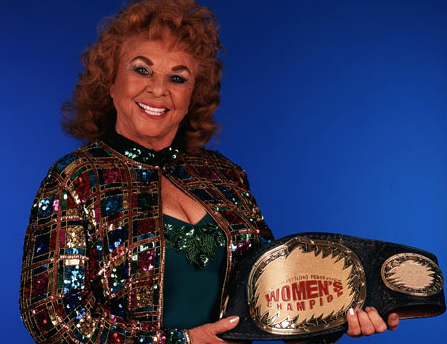 ~~~At this stage of her career, Fabulous Moolah legally owned the World Ladies championship belt. October 8, 1978: Evelyn Stevens defeated The Fabulous Moolah for the World Ladies title in Dallas, Texas. ~~~In typical Moolah fashion, she once again regained the Ladies title days later defeating Evelyn Stevens. ~~~The Fabulous Moolah held onto the World Ladies title for another six years. 1983: During Moolah’s 5th year title reign, new WWF head Vince McMahon Jr. offered Moolah a very lucrative deal. ~~~Vince McMahon bought the rights to the World Ladies title from Moolah in an attempt to take the WWF national. ~~~Vince McMahon also signed The Fabulous Moolah to an exclusive World Wrestling Federation contract. ~~~The Fabulous Moolah became much hated by the wrestling industry for “selling out” to Vince McMahon. The Fabulous Moolah was credited as one of the pioneers of the WWF expansion and to the RockNWrestling era. July 23, 1984: Wendy Richter defeated Fabulous Moolah for the WWF Women’s title at Madison Square Garden. ~~~Cyndi Lauper came on board with the WWF as the manager of Wendy Richter against The Fabulous Moolah. ~~~Wendy Richter and Cyndi Lauper attracted national headlines and defeated Moolah in countless rematches. ~~~The Fabulous Moolah took a backseat and became the manager of Leilani Kai to challenge for the Women’s title. February 18, 1985 – War to Settle the Score: Leilani Kai w/Moolah beat Wendy Ritcher for the WWF Women’s title. March 31, 1985 – WrestleMania: Wendy Richter recaptured the WWF Women’s title from Leilani Kai. The Fabulous Moolah began training a new wrestler named the Spider Lady to challenge for Richter’s championship. 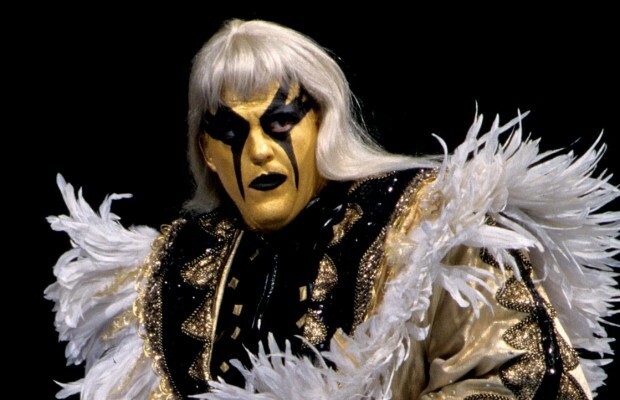 November 25, 1985: The Spider Lady defeated Wendy Richter for the WWF Women’s title in a controversial WWF moment. ~~~After the match, the masked Spider Lady unmasked to reveal that it was none other than Fabulous Moolah herself!! ~~~Wendy Richter was “allegedly” booked to win the match, and Richter seemed stunned at the outcome of the match. WrestleMania II: The Fabulous Moolah defeated Velvet McIntyre to retain the WWF Women’s title. July 3, 1986: Velvet McIntyre defeated The Fabulous Moolah for the WWF Women’s title in Australia. ~~~Fabulous Moolah regained the WWF Women’s title days later also in Australia defeating Velvet McIntyre. WrestleMania III: Fabulous Moolah accompanied “King” Harley Race for his match against the Junk Yard Dog. The Fabulous Moolah quietly changed her attitude and became a babyface feuding with the heel Sherri Martel. July 24, 1987: “Sensational” Sherri Martel defeated The Fabulous Moolah for the WWF Women’s title in Houston. November 26, 1987 – Survivor Series: Moolah/Angels/McIntyre/Robin beat Sherri/Glamour Girls/Dawn Marie/Christanello. The Fabulous Moolah was slowly phased out of the World Wrestling Federation spotlight. Fabulous Moolah was one of the few veterans who remained on the WWE payroll due to her years of loyalty to the McMahons. WrestleMania X: Fabulous Moolah appeared in the crowd for the Alundra Blayze/Leilani Kai WWF Womens title match. June 24, 1995: The Fabulous Moolah was inducted into the WWF Hall of Fame. Unforgiven 1999: Fabulous Moolah and Mae Young interfered in the Chyna/Jeff Jarrett Intercontinental title match. ~~~Moolah and Mae attacked Jeff Jarrett to help Chyna win the Intercontinental title in a “Good Housekeeping” match. ~~~On the same card, The Fabulous Moolah and Mae Young attacked WWF Women’s champion Ivory! No Mercy 1999: The Fabulous Moolah defeated Ivory to win the WWF Women’s title!! Survivor Series 1999: Fabulous Moolah/Mae Young/Tori/Debra beat Ivory/Terri/Jacqueline/Luna (Moolah pinned Ivory). WrestleMania 2000: Fabulous Moolah accompanied Terri to the ring for her match with The Kat w/Mae Young. July 29, 2002 – RAW: Fabulous Moolah and Mae Young show up on RAW to promote her new Book. ~~~Eric Bischoff gave the two ladies 3 minutes of air-time to plug the book before the Rosey and Jamal attacked them. November 28, 2002 – Smackdown! : Moolah is forced into a match with Big Show, but is saved by Brock Lesnar. 2003: Fabulous Moolah is inducted into the Professional Wrestling Hall of Fame. September 15, 2003 – RAW: Fabulous Moolah celebrates her 80th birthday with a match – Moolah defeated Victoria with a rollup! ~~~The celebration was cut short when Randy Orton ran-down and attacked Mae Young and Moolah! ~~~The night ended on a good note, as the cameras went off the air, Vince McMahon through a party for Moolah in the ring! September 23, 2004 – Smackdown! : Mae Young and Fabulous Moolah defeated Torrie Wilson and Dawn Marie in a “School Girl” match. March 5, 2005: Moolah and Mae Young defeayed The Bounty Hunters (managed by Gail Kim) in Conway, South Carolina. October 3, 2005 – WWE Homecoming: Fabulous Moolah participated in a Legends Ceremony which included roughly 24 Legends. October 9, 2006 – RAW: Lilian Garcia introduced special guests Fabulous Moolah and Mae Young (using a walker). April 1, 2007 – WrestleMania 23: Moolah and Mae Young made a brief cameo during a backstage dance party started by Cryme Tyme. June 11, 2007 – Vince McMahon Appreciation Night: Moolah and Mae Young appeared on their hands and knees and barked like dogs. August 26, 2007 – SummerSlam: Moolah and Mae Young appeared during a backstage sketch and Mae made out with Vince McMahon! November 2, 2007: The Fabulous Moolah (Lillian Ellison) passed away at her home in Columbia, South Carolina at the age of 84.. The WWE paid tribute to Moolah on all three of their programs; Monday Night RAW, ECW on Sci-Fi, and Friday Night SmackDown!.